In a culture of shared leadership, the administrator's role is more important than ever. How do you maintain the right balance of loose and tight leadership? How do you establish profound, lasting trust? What principles strengthen principal leadership? This book answers these questions and more in compelling chapters that deliver the strategies and heartfelt inspiration essential to being the best administrator you can be. 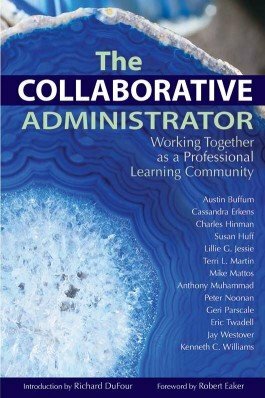 Understand the administrators role in a culture of shared leadership. Learn how administrators can maintain the right balance of loose and tight leadership to build profound, lasting trust. Explore the principles that strengthen principal leadership. Overcome the practical obstacles of creating a PLC. Gain strategies and inspiration from educators who have faced these challenges and found solutions.